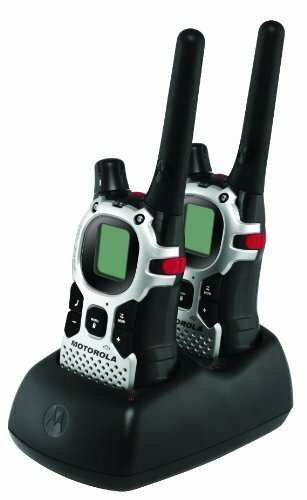 The Motorola Talkabout MJ270 is the ideal emergency preparedness communication tool for outdoor enthusiasts and active families. 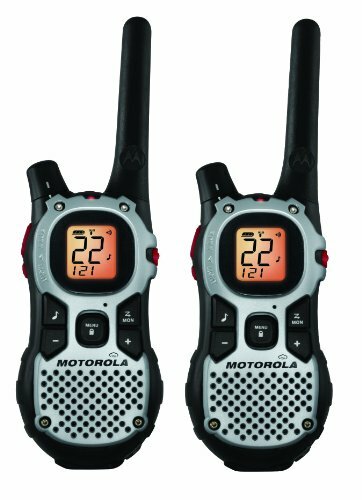 With a range of up to 27 miles, an emergency alert feature and flashlight, the MJ270 radios provide a convenient total emergency preparedness communication device ¿ perfect for active outdoor excursions or life¿s every day adventures. Take a pair on your next trip to the mountains and stay connected without missing important emergency or weather alerts.The MJ270 includes an emergency alert feature, allowing you to enjoy your escape to the great outdoors with confidence that others can be informed of any dangers that may come your way. When the alert button is activated, the radio transmits an alert siren followed by transmission of spoken or incidental sounds. This allows you to send the signal to other radios and warn of impending danger. The MJ270 also features a built-in LED flashlight for peace-of-mind during evening adventures or unexpected emergencies and power outages. Want to keep in touch with changing weather conditions during your family camping adventure? No need to stop the fun ¿ weather alerts will provide your group with warnings of incoming storms or dangerous conditions. And, by tuning in to one of 7 NOAA channels (National Oceanic and Atmospheric Administration) on your MJ270, you will always know what to pack with continuous local and regional weather broadcasting.When you are hiking up a steep mountain trail, you really need to keep your hands free to brace the rocky terrain. With iVOX acting like a speakerphone and allowing hands-free communication, you can keep on moving without stopping to answer a call.